Master the power of cultivating quality contacts using a continuity program that is easy to do and designed to attract exceptional people who want to help you succeed in whatever venture you choose. July’s engaging style entertains and informs while you follow the steps. 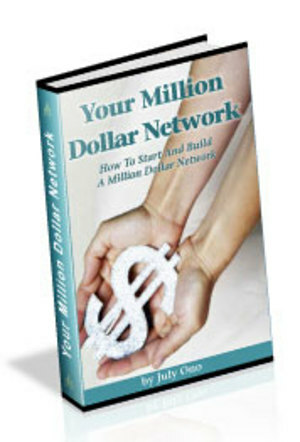 In no time, you will grow and leverage your own million dollar network for phenomenal success. Discover why turning clients into evangelists can make your business virtually self-sustaining. Learn how to rally the power of their networks into a focused beam that will have your company exploding with growth. July provides step-by-step instructions along with stories and encouraging advice, designed to help anyone develop their network, regardless of their level of skill. This is the book that will turn the tide and open the floodgates to your success. Start building your million dollar network today!